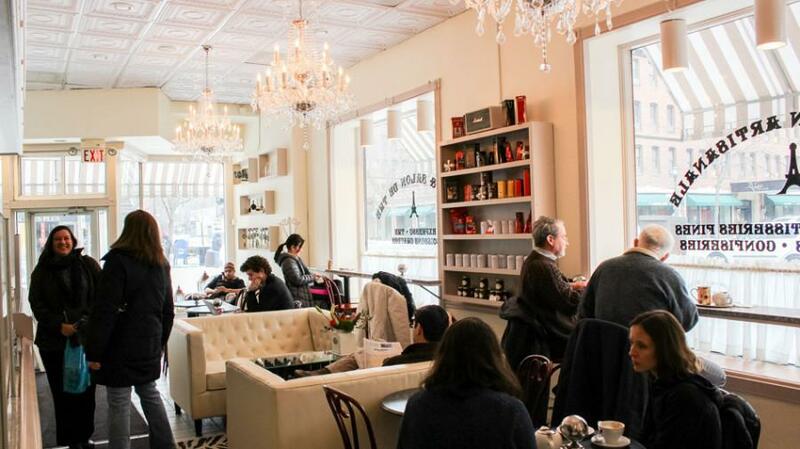 Flaky croissants and colorful macarons are always on the menu at downtown Evanston’s personal slice of Paris. With its convenient location, 600 Davis St., and beautiful seating area, Patisserie Coralie is ​a place you’ll want to return to. Owner Pascal Berthomieux and head Patissier Manuel Bouillet ensure this with an ever-changing menu that keeps regular customers happy and in tune with the French tradition. 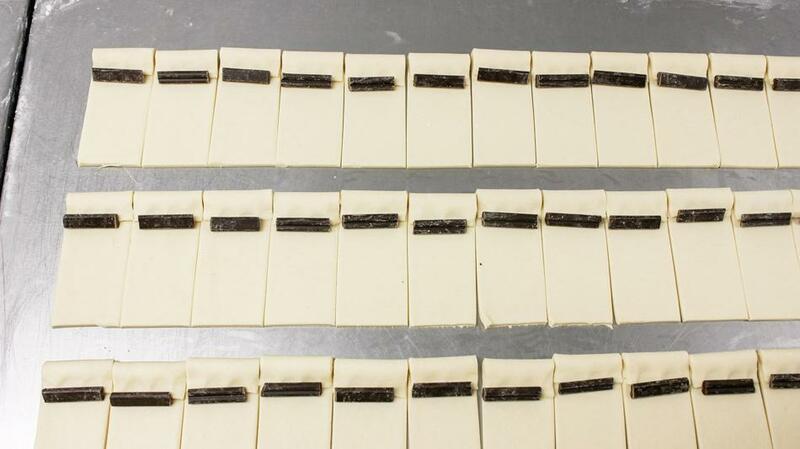 Bouillet started working with pastries at 15 when he began pastry school. 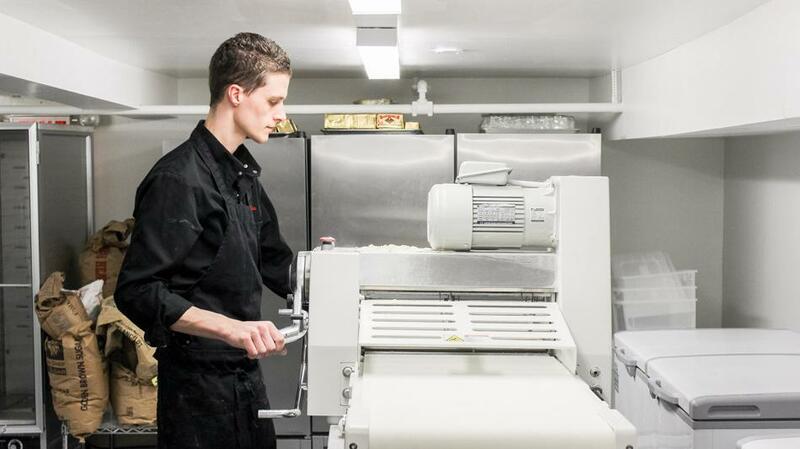 After four years of learning from the best, he headed to Paris to work at Fauchon, a famous international pastry shop legendary for its reputation and quality. Next, he worked at an all-chocolate concept bakery called “Un Dimanche a Paris,” which translates to “a Sunday in Paris.” In 2013, he decided to move to Chicago to experience new things. It’s been a year and a half, and Bouillet says he’s had an amazing experience in Evanston. 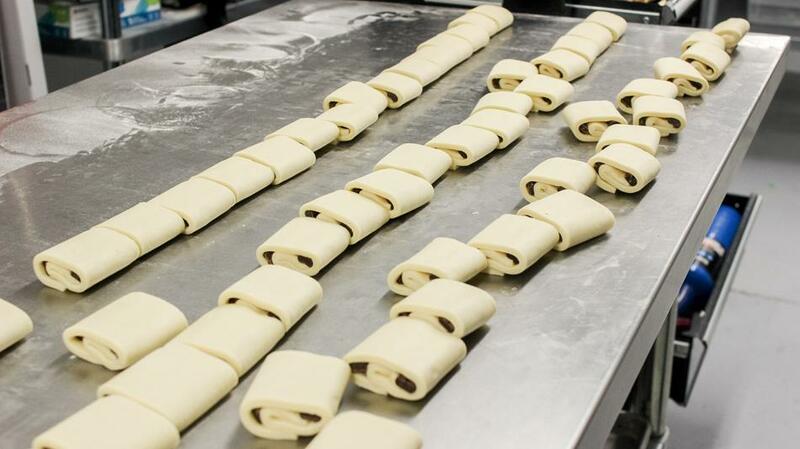 Bouillet let The Daily inside his kitchen to see his pastry-making skills in action. 1. 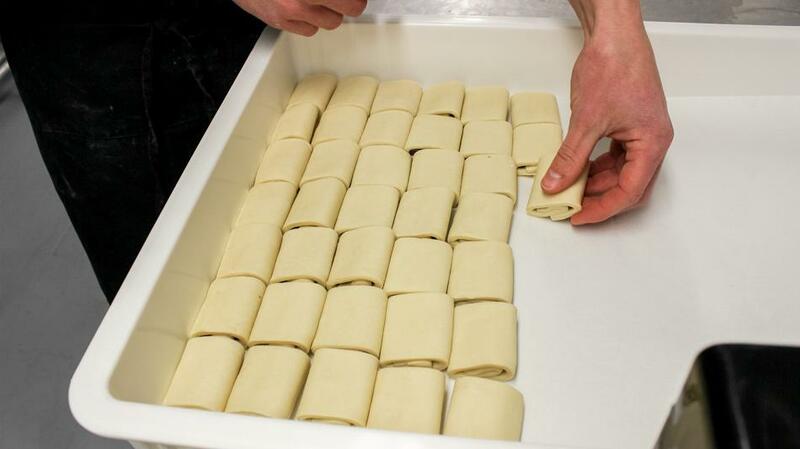 After making the dough, Bouillet folds it in three layers and puts it through the dough machine to evenly flatten it out. He repeats this several times. 2. 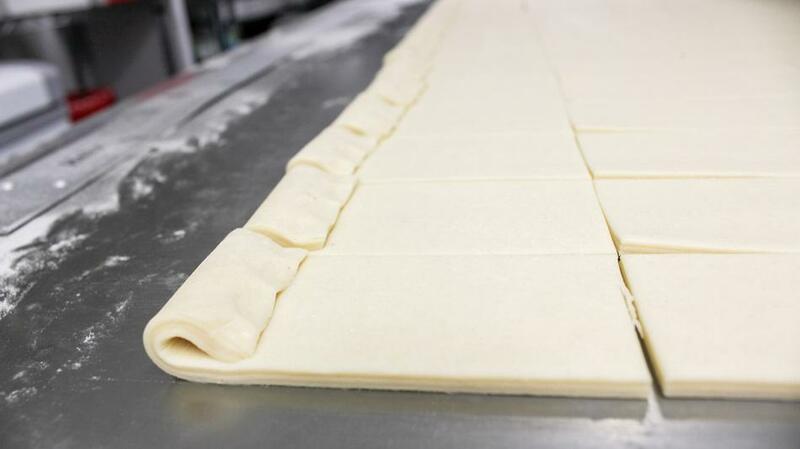 When satisfied, he folds it in the three layers again and waits for the dough to cool. 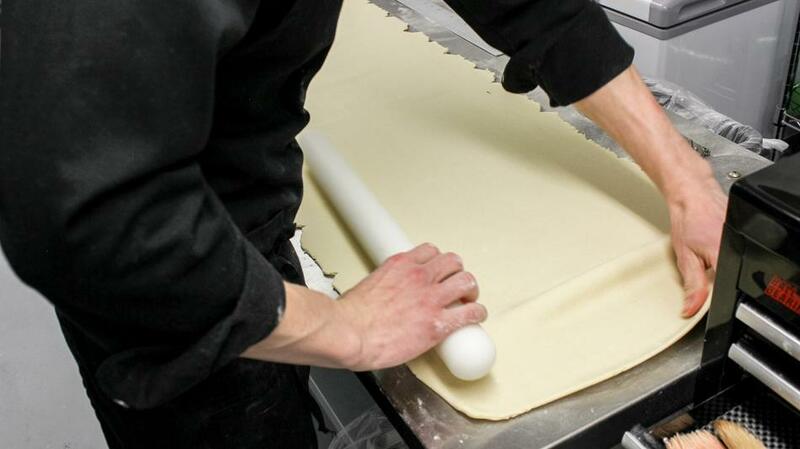 Once the dough is cold and hard, it is ready to be shaped. 3. With flour to keep it from sticking, he flattens out the dough again. 4. 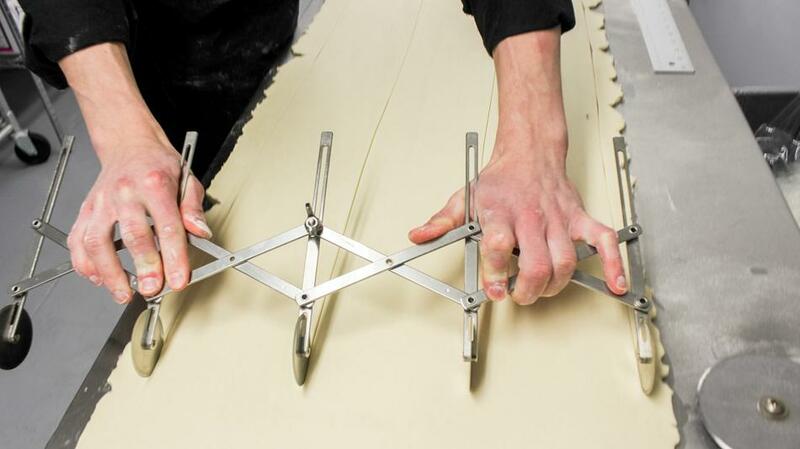 He then uses a tool called a bicycle to make precise cuts and starts shaping the dough. 5. 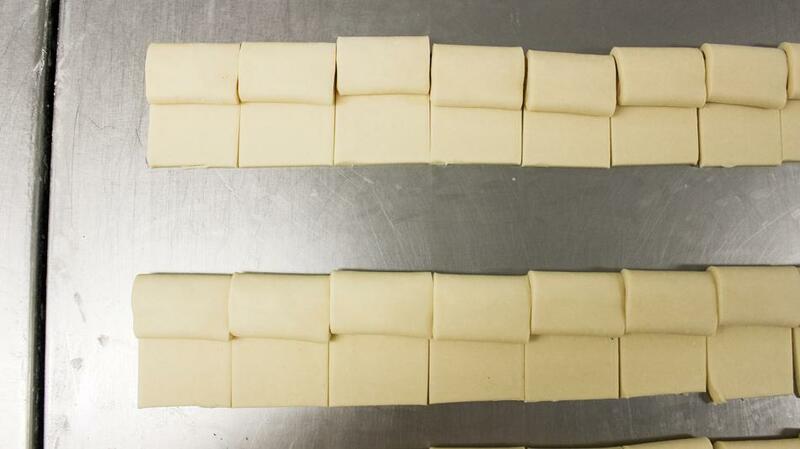 When the dough is evenly cut into rectangles, he uses his fingers to fold over a layer. 6. Next he adds a layer of chocolate. 7. He folds over another layer. 8. 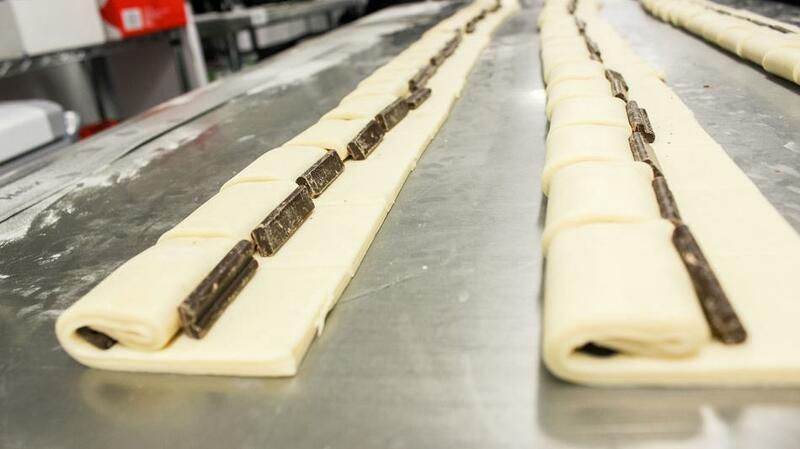 A second layer of chocolate is added. 9. 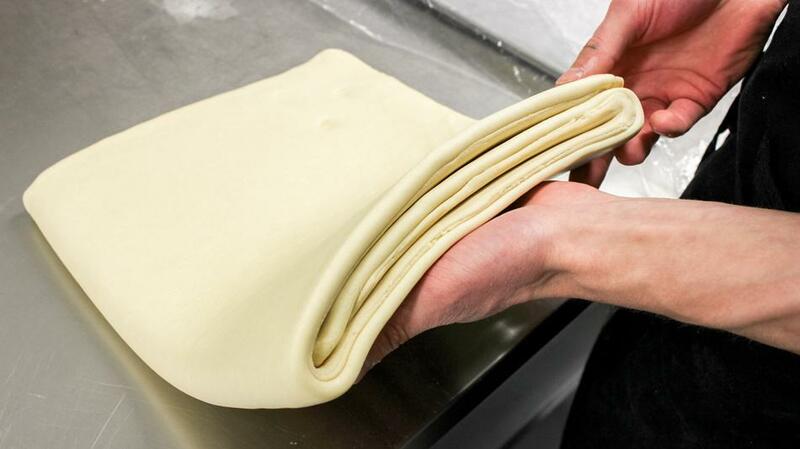 Bouillet finishes shaping the croissant by folding it over one last time. 10. After all the croissants are finished, he places them in a white tub to be refrigerated. 11. The next morning, Bouillet comes in at 4 a.m. to put the croissants in the proffer for three hours at 82 degrees Fahrenheit. 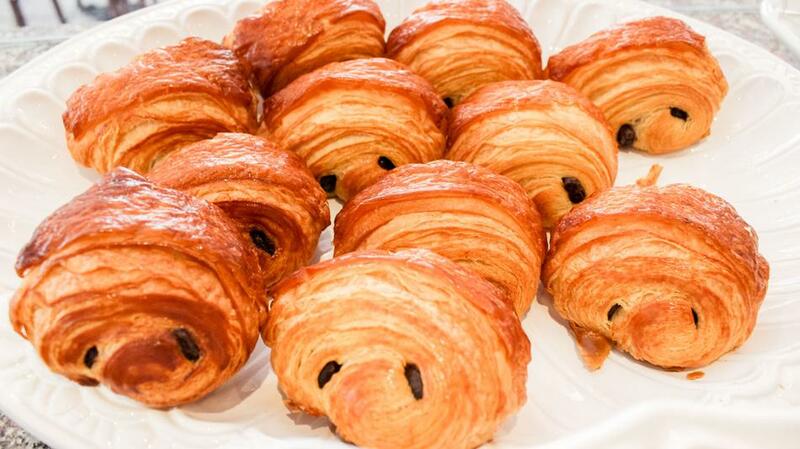 Then at 7 a.m., right when Patisserie Coralie opens, he brushes egg wash to give the croissants a shiny, glazed look and bakes them.